Procter & Gamble has reduced the agencies it works with by more than half, and plans to halve that number again, the FMCG company's finance chief said as it revealed encouraging sales for the last three months of 2017. Organic sales were up 2% in the second quarter of P&G's financial year, keeping it on track to hit its full-year targets. Total sales were up 3% year-on-year to $17.4bn (£12.5bn), while earnings before tax were up 24% to $4.0bn. Last quarter, P&G's results undershot expectations with sales up only 1%. Speaking on an investor call, chief financial officer Jon Moeller said P&G had reduced the agencies it worked with from 6,000 to 2,500, and wanted to half this number again. Moeller said it had saved $750m in agency production costs, and improved cash flow by over $400m additional through the introduction of new payment terms. It now wants to save a further $400m, and would implement new advertising and media agency models, he added. "We need the contribution of creative talent and are prepared to pay for that," Moeller said. "We don’t need some of the other components of the cost." "We’ll move to more fixed-and-flow arrangements, with more open sourcing of creative talent and production capability, driving greater local relevance, speed and quality at lower cost. We’ll automate more media planning, buying and distribution, bringing more of it in house." Moeller said that media transparency - the subject of a landmark speech by P&G's chief brand officer Marc Pritchard last January - had "improved". By tackling non-viewable ads, excess frequency, and ads served to bots, the company had been able to eliminate waste and cut losses, he said, while growing its reach by 10%. He said: "It's clearer and clearer to us that there is more opportunity to eliminate waste by reducing excess frequency within and across channels, eliminating non-viewable ads, and stopping ads served bots or adjacent to inappropriate content." 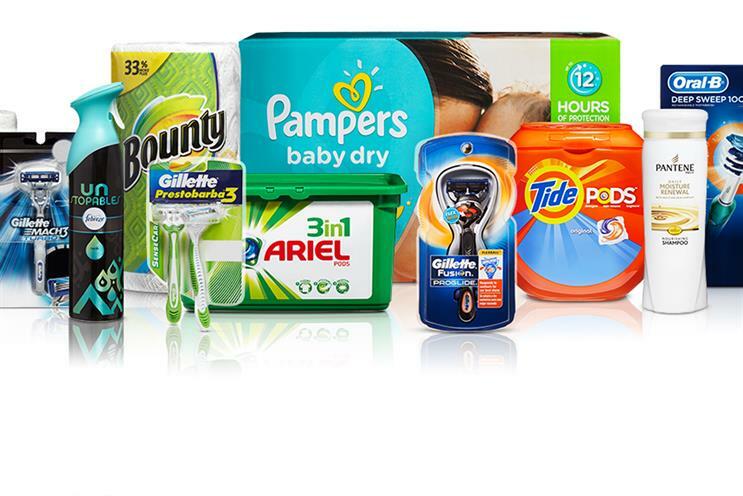 Moeller added P&G’s strategy of focusing on categories where it could make the most of its brand strength was paying off. He said that despite efforts to improve and streamline its marketing, the business was increasing adspend. He said: "We did increase advertising – we were up about 2%. I continue to expect we’re going to be investing in both R&D and advertising. It’s part and parcel of the very focused strategy on daily use categories where performance drives brand choice." In P&G's last financial year, which ended in June 2017, its total adspend was down 1.7% to $7.12bn, the lowest level since 2006. The performance of product categories within the company varied: net sales were up 10% in beauty, 7% in health care, and 3% in fabric & home care. But they were down 1% in both grooming and baby, feminine and family care. Moeller was enthusiastic about the impact for P&G of the recently passed Tax Cuts and Jobs Act, which among other measures, slashed the US corporation tax rate from 35% to 21%. The Act would have a "positive impact on our long term competitiveness" against rivals based outside the US, where corporate tax rates had previously been much lower, he said. Efforts and demands to cut plastic use and increase recycling have dominated business news in recent weeks, and Moeller used the call to outline steps P&G was taking to improve its sustainability footprint. "We’re making packaging more sustainable with projects that increase our use of post-consumer recycled plastics," he said. "One of our first applications is using reclaimed beach plastic for Head & Shoulders bottles. As supply of these materials grows, we’ll look to expand their use to other categories. "Our supply network transformation further enables improvements in environmental sustainability, as we move manufacturing and distribution closer to consumption. "Since 2010, we’ve reduced truck transportation kilometres by more than 25%. Over the same time our plant sites have reduced water usage by 24%, and increased their use of renewable energy to 10%, with a goal of 30% by 2020."